You’re always on the go, and you never know what (or whom) you might encounter. Our Leather Card Keepers are the perfect catchall for the contact cards—and other odds and ends—you like to hold close. 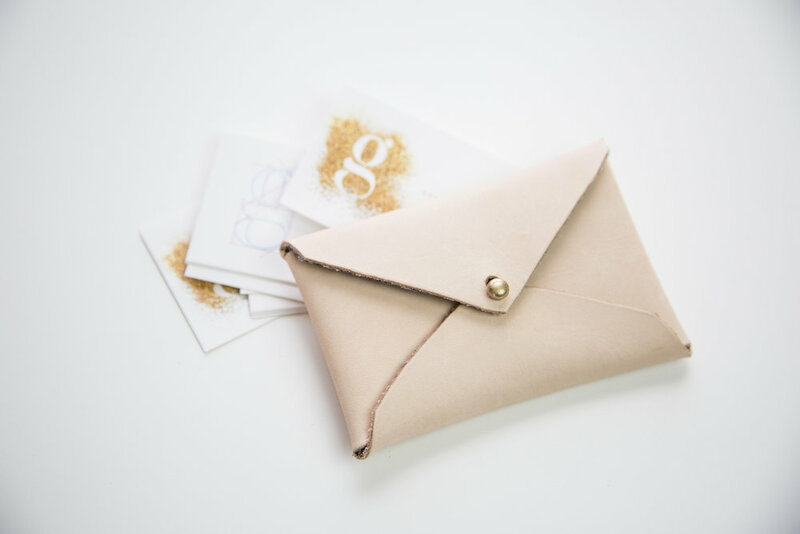 Use it to keep a steady supply of your business cards on-hand (and wrinkle-free!). We also fill ours with messages from fortune cookies, notes scrawled on napkins, favorite photos, and of course, the cards from others we meet at conferences, parties and events. Crafted in soft leather, our cardholders are only complete after your unique touch. Choose from an array of prints and patterns for the interior lining, then write an inspirational message—an energizing greeting each time you lift the flap. And just like the women we admire, this gorgeous leather piece only gets better with time.